As the fashion changes from time to time, varied exciting array of ladies wear comes forth to choose from. Whether it is casual wear or formal one, every woman just wants the best so that she looks awesome. With the changing fashion and styles, the trend of using materials and fabrics is also changing. Today, apart from cotton, silk, nylon, wool, leather etc., jute has also become the prior choice to create unique ladies apparels. Designed for every occasion, jute ladies wear make the women look charming. Along with offering beauty, jute ladies wear also provide complete comfort throughout the day. Seasonal wardrobe themes are also available in jute to make ladies celebrate the change of weather by adorning them with unmatched apparels. The collection of such jute ladies wear made up from jute includes kurti, suits, skirts, tops, shirts, and so on. They are perfect to add colors and liveliness to the wardrobe with unbeatable natural qualities and styles. The exciting range of these jute ladies wear can be availed in a wide range of styles, designs and colors for every type of needs. 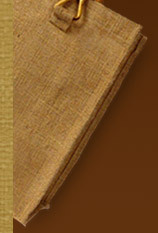 This kind of wear is regarded as the strongest and highly durable clothing as they are designed from jute. This natural fiber adds strength, sturdiness and softness to the apparels of ladies. Jute ladies wear are 100% natural with eco friendly and bio degradable properties. If a user wants to get rid of them, she can easily decompose them without creating pollution or any harm to the environment. They are very easy to maintain and wash without any color fastness property. In addition to this, they are available with the property of absorbing sweat and odor keeping the wearer fresh for all day long. Comfortable to wear, long lasting and easy to maintain, jute ladies wear are available at very low prices.